Elderflower honey is a delicious floral infused honey that somehow feels elegant and delicious. 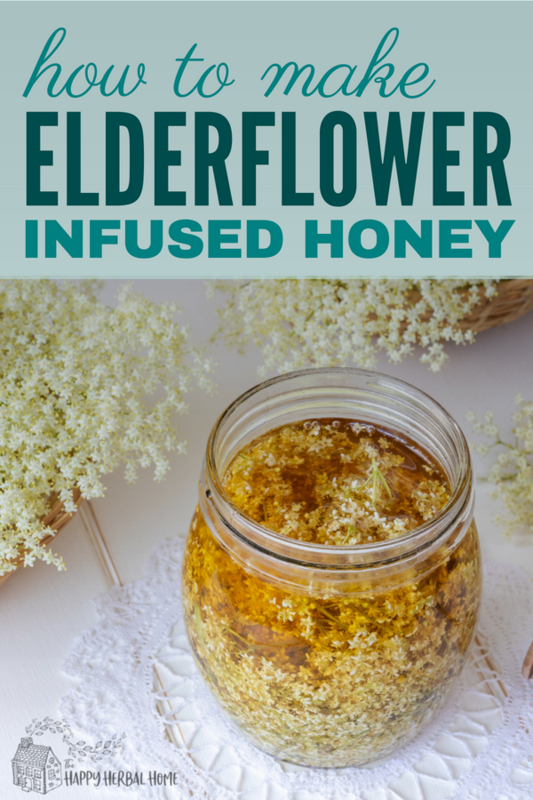 You can make this herbal infused honey with dried elderflowers, or fresh ones pick straight from the garden. This honey tastes amazing drizzled over fresh fruit. Or you can add it to a glass of cold mineral water for an instant homemade soda or to sweeten up a hot cup of herbal tea. My personal favorite way though is turing this syrup into elderflower lemonade! Its the perfect summer drink that’s refreshing and tasty. Of course, the possibilities are endless and only limited by your own creativity. This post may contain affiliate links. We only recommend products we use and love. If you click a link we may earn a small commission at no cost to you. You can read our full disclosure here. 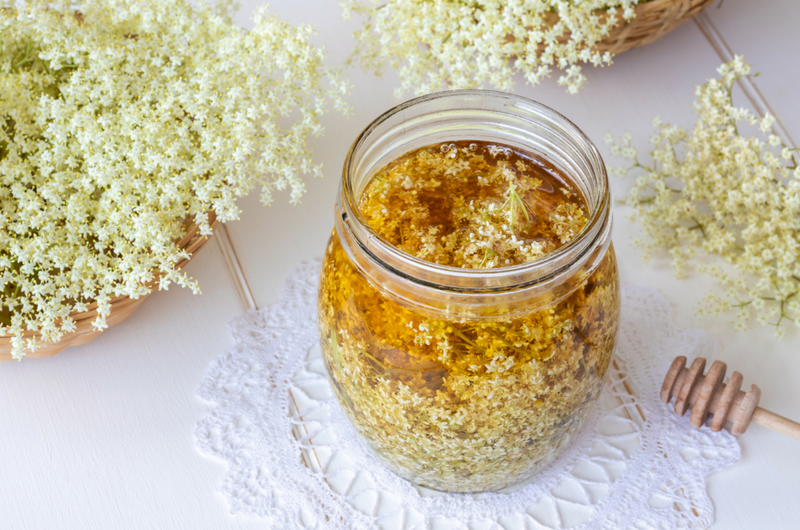 This honey not only add a delicate floral flavor, but elderflower is loaded with health benefits and uses., making this a wonderful addition to any natural medicine cabinet. This recipe uses fresh elderflowers, although you could use dried flowers as well. When using fresh flowers try to remove as much of the stems as possible. You want to infuse only the flower head. Although elderflowers and their berries are safe to eat (the berries must be cooked) the stems, branches, bark and roots are all considered toxic. If using fresh elderflowers, prep your flowers by shaking the bundles to remove any debris or bugs. I prefer not to wash my flowers as it removes much of the flavor and health benefits as much of the pollen is removed. Trim back your flowers and lightly pack them in your glass jar. If using dried flowers, simply fill your jar with the flowers. This helps to extract the most goodness from the flowers, while helping to prevent any mold from growing. P.S. 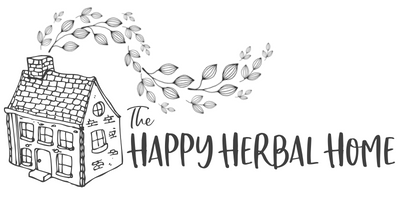 If your like me, and love learning about how to incorporate herbs into your everyday life, you need to check out The Herbal Academy. Taking a few courses from them has completely changed the way I see and use herbs. You can read my full review of their herbal online courses here.